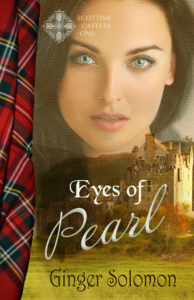 Renee-Ann’s desire to write began very early but remained nothing more than a hobby until just a few years ago when she wrote her first novel, Stella’s Plea, (Nov. 2012, second edition tentative date, fall 2016). In February 2016, she released her second, Emma’s Prayer. 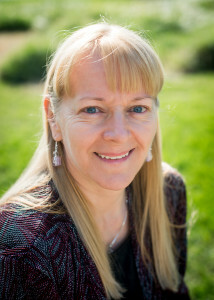 She’s a member of several writing groups and is no stranger to Christian writers’ conferences where she thrives on learning, and then looks forward to the next conference. She and her husband live in New Brunswick, Canada. When I developed Clare, one of my deaf characters, I had a very dear friend in mind. One who went to public school without a sign language interpreter. She’s an excellent lipreader. These are the questions I asked my friend and her answers. What was it hard attending public school without an interpreter? It certainly had its challenges. Being a proficient lipreader, I couldn’t read the teachers’ lips when they move around a lot, or faced the blackboard, writing. As well, when students answered the teachers’ questions, it was hard to read their lips depending on where they sat in class. They may be sideways, in front, in the back row. I had to study extra hard and longer each evening at home for tests and exams. I did pretty good considering, learning tricks on how to catch on. Was lipreading very hard to learn? I started to learn to lip-read when I was age 2 or 3. Same as a child learning to talk, I went through the similar steps but more visual learning. For example, using a Kleenex and pronouncing the letters and watching the Kleenex’s movements. I practiced “B” and “P”. Some letters are silent, so the Kleenex barely moved. I had my hands on the teacher’s neck or face, felt the sounds, and repeated after her. I watched the movement of her lips as the letters and words formed. Since I was really young when I started to learn lipreading, it was easy to grow into it. It takes years to develop good skills, so it’s best to start at a very young age. At home, my parents taped cue cards on furniture. My mother or father said the words with me. I watched their lips, and then practiced saying them. Later, my sister corrected my pronunciations if she heard me say it in the wrong way. I’m very thankful for my parents and sister. How do you feel about all the technology available to the deaf community today? Do you wish you’d had access to it back then? Oh yes, I wish I’d had a TTY (teletypewriter)! It would have given me a lot of independence. My parents had to call my friends to arrange a get together. Back in those days, there were no TTY, no texting, no close captioned machines. Closed captioned shows and movies, I grew to love. When I was a child, I watched Saturday morning cartoons with no captions. I laughed at their actions. When I got the captioned machine and watched my first captioned cartoon, I was sooo amazed. There was a story to it! Do you drive? If so at what age did you learn? Yes, I do drive. It’s a myth that deaf people can’t drive because they wouldn’t hear emergency vehicles. I got my driver’s license when I was 16 and still drive today. I may not be able to hear them but I can certainly see them. Do you know what caused your deafness? I was born profoundly deaf because my mother contracted the German measles while she was pregnant with me. A teen pregnancy. A couple desperate for a family. A baby awaiting adoption. Soon after Emma Leigh Roberts puts her son up for adoption, the agony of missing him is more than she can bear. When the opportunity presents itself, will she take back what’s rightfully hers, or will she come to terms with the consequences of her decision? Cynthia Adams, a small town speech therapist, suffers yet another miscarriage. She and her husband Logan turn to adoption. They’re delighted when a baby boy is placed in their home. 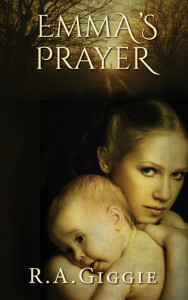 You can find Emma’s Prayer on Amazon. Thanks for having me. I look forward to chatting with your readers.